Range Lights E8553 utilize highly efficient LED technology to provide narrow high intensity light beam for application in range lights. 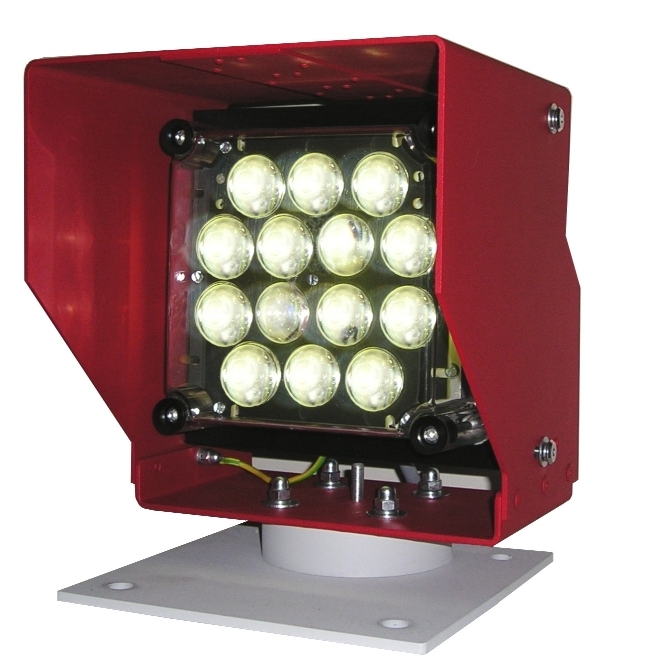 The light is controllable by an external flasher, and it consists of a light unit, and of a marine grade aluminum enclosure. The light unit is mounted on a black heat dissipation radiator of marine grade aluminum, and it is covered with a transparent front cover. The light unit houses high power LEDs with individual lenses, and a controllable power supply unit. The E8553 Range Lights are currently available in one of the three colurs: red, green, or white. On the site of installation the light will be mounted by a hot zinc coated base plate. The direction of the light beam around horizontal axis is adjustable by rotation of the case with the light unit. The direction of the light beam around vertical axis is adjustable by deflection of the light unit. An optical sight can be used for more accurate direction of the light beam. 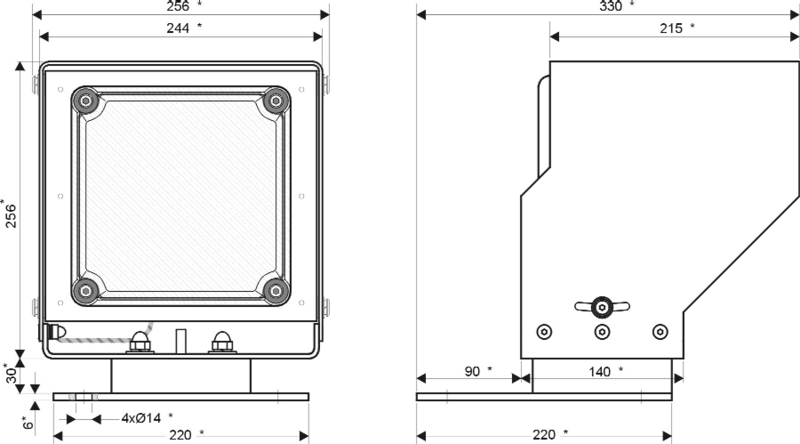 Please consult the E8553 datasheet (in Adobe pdf format) for more detailed information.